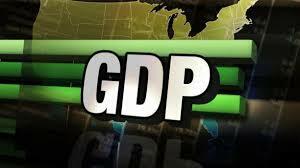 While Q4 GDP was revised down to 2.2% from just 2.6%, things are better than they appear. The revision was entirely due to slower inventory accumulation. Excluding inventories and trade gets at real domestic demand, and it grew at a solid 3.2% while household spending was revised down just 0.1% to a healthy 4.2%. This shows demand is strong and 2015 GDP should exceed 2.75%, the best performance since 2005.